Thomas Sabo is renowned for his eclectic and quirky designs. Pretzels are loved in Bavaria and throughout the world. 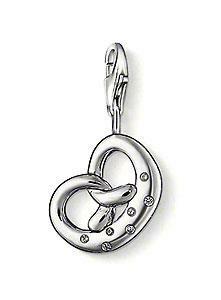 This Sterling Silver charm has Cubic Zirconia "salt" and is finished with a Lobster Clasp.